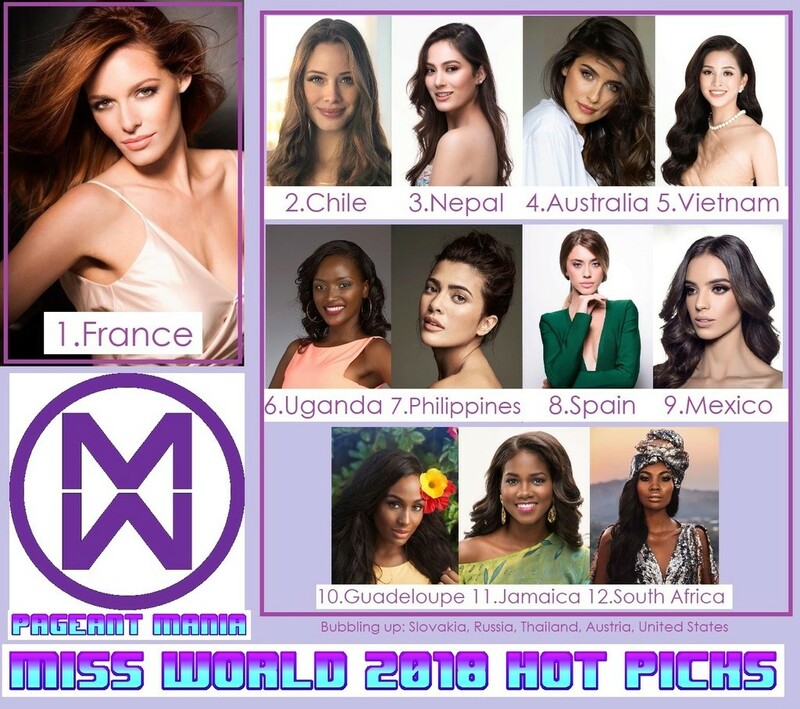 It's high time for Miss World 2018 Hot Picks! I invite all of you to post here or send me by private message your TOP 15 until the end of November! Special thanks to ME for the wonderful banner! I have voted for the hot picks. Didn’t you count me, Wojtek? Sammul Doan wrote: I have voted for the hot picks. Didn’t you count me, Wojtek? Oh I didn't have time to vote...my vote wouldn't make a difference though. I would love for Nepal to win..but will be ok with France or Chile! Chile should join Miss Univero Chile.